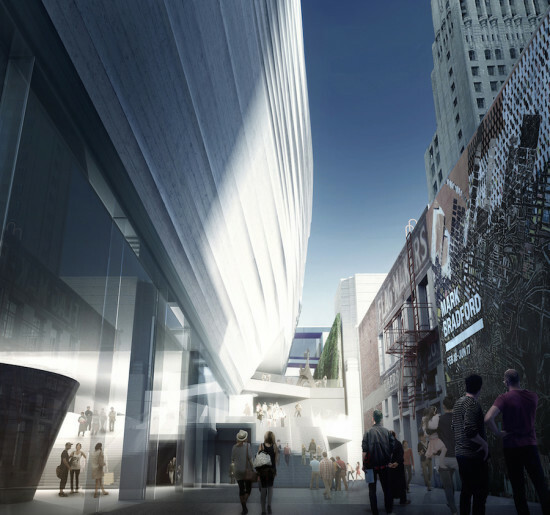 If constructing a museum were this effortless, there might be one on nearly every street corner. 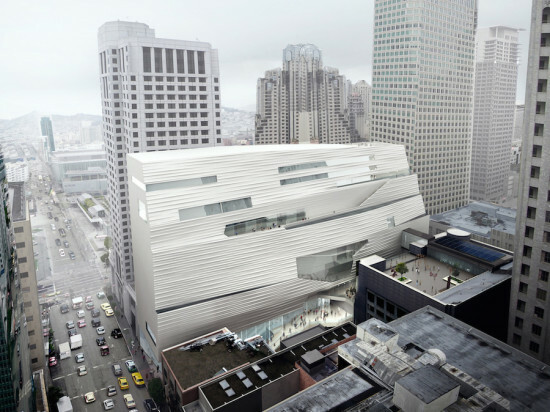 Norway-based firm Snøhetta recently posted a time-lapse video of the ongoing expansion of SF MoMA, compressing a two-year effort into a roughly 7-second breeze-through akin to folding origami: “2 years of construction over in the blink of an eye—time flies when you’re having fun and we can’t wait for Spring 2016!” The caption on the Instagram video reads. 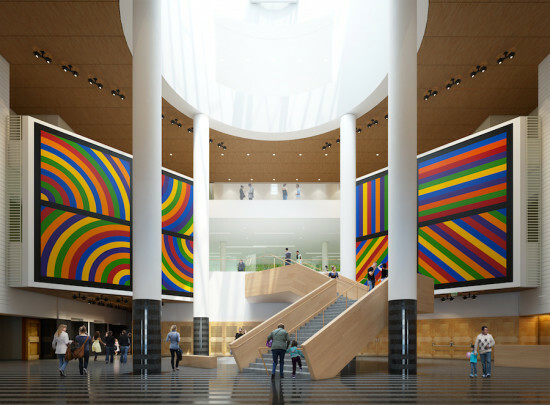 After winning an international competition in 2010, the firm was selected to design a 235,000-square-foot expansion of SF MoMA to accommodate its growing audience, educational programs, and collection. 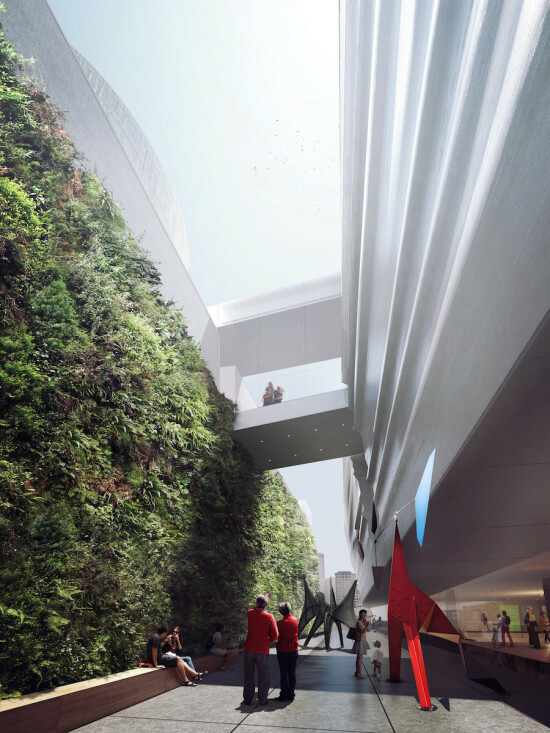 The goal of the new wing is to increase public circulation between the museum and the city through free public galleries at ground level, new entrances for accessibility from different directions, and a central public gathering space. The architects deployed glass throughout the building to foster a welcoming, transparent aesthetic, further opening up the building with the addition of two outdoor terraces and a vertical sculpture garden on the third floor, which offers views of Alexander Calder’s work in an adjacent gallery while overlooking bustling Howard Street. The expansion promises a total of 15,000 square feet of art-filled, free-access public space, including a large, glass-walled gallery at ground level. 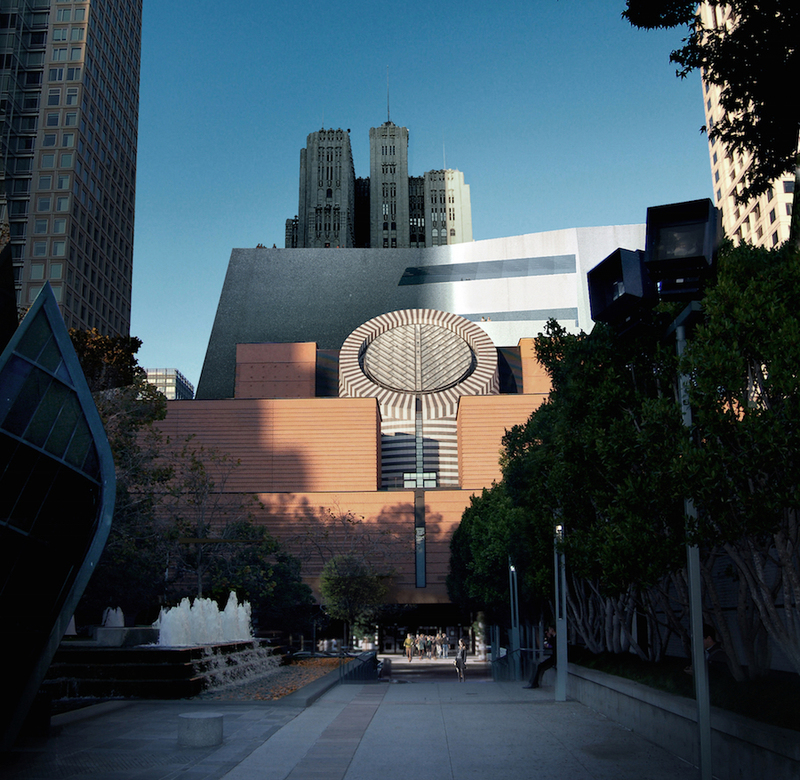 Though designed to be “forward-looking,” the modern concrete structure respectfully complements the red-brick, Mario Botta-designed main building, which opened in 1995. 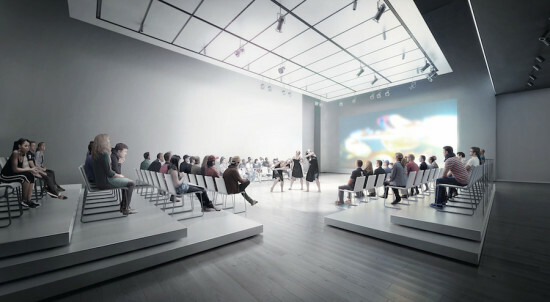 At its heart is seven levels of flexible, performance-based gallery space for live art programming, and an additional 130,000 square feet of indoor and outdoor gallery space. A versatile, double-height “White Box” space on the fourth floor is equipped with cutting-edge lighting and sound systems for live performances. 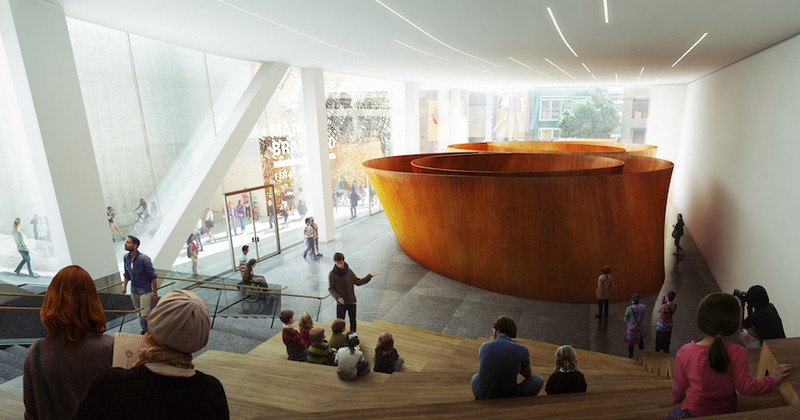 Meanwhile, a new outdoor terrace on the seventh floor offers dramatic city views, accomplishing SF MoMA’s long-term goal of integrating the urban indoor/outdoor experience.